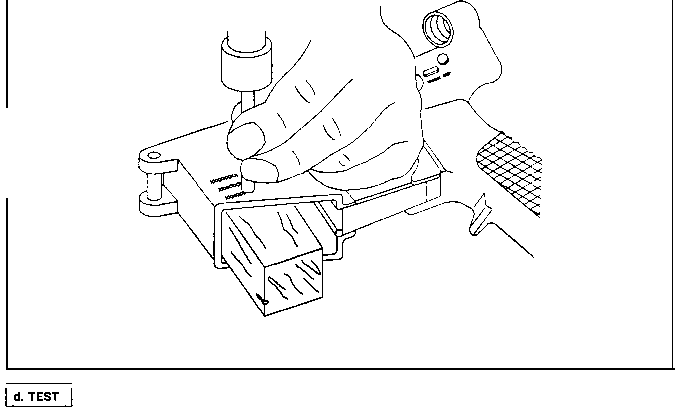 (a) Disengage the takedown pin and open the receiver. (b) Remove bolt carrier assembly. (c) Remove bolt assembly from bolt carrier assembly. (d) Insert bolt carrier and key into upper receiver and barrel assembly. The bolt assembly must not be installed while performing test. (e) Slide bolt carrier and key forward to detect binding between key and bolt carrier assembly and gas tube by feel. Badly bent gas tube could cause damage to both the key and bolt carrier assembly and the gas tube. A slightly bent gas tube will cause unnecessary wear of the carrier and key assembly and gas tube. (f) Correct slight binding by removing hand guards and slightly bending gas tube in the handguard area while repeating step (e) above until no binding is detected. Badly bent gas tubes will be replaced and realigned. (g) Remove key and bolt carrier assembly from upper receiver and barrel assembly. (h) Reassemble bolt assembly into key and bolt carrier assembly. (i) Reinstall bolt carrier assembly into upper receiver and barrel assembly. 3-21. M16 AND M16A1 RIFLE FINAL INSPECTION (CONT).